The attorney general for the only holdout state in the U.S. antitrust case against Microsoft Corp. is praising dramatic sanctions imposed this week by European regulators against the world's largest software company. Thomas F. Reilly of Massachusetts said the U.S. government should have sought similarly harsh penalties against Microsoft before the Bush administration and 19 states agreed to settle its landmark antitrust case. Reilly is awaiting a U.S. appeals ruling on whether that settlement was adequate. "It's another continent but somebody finally decided to deal with Microsoft, which is something the Department of Justice avoided in the latest round," Reilly said in a telephone interview. "The European Union seems to have the will to deal with this situation." Massachusetts has argued that the settlement — approved by the trial judge in November 2002 — was so profoundly flawed that it represented an abuse of the judge's discretion. A decision on the subject by The U.S. Circuit Court of Appeals for the District of Columbia is expected imminently. The European Union this week slapped a $613 million fine on Microsoft for abusing its monopoly over the Windows operating system software. After a five-year investigation, antitrust regulators ordered Microsoft to offer European computer makers a version of Windows stripped of its digital media player software for watching movies and listening to music. 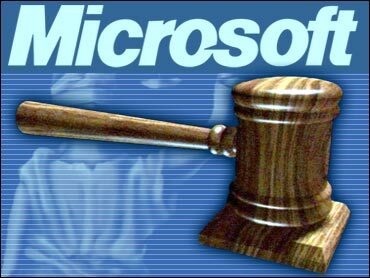 Microsoft has called the decision "unwarranted and ill-considered" and said it will ask a judge to suspend the order pending its appeal. The Justice Department, which never sought to require that Microsoft remove particular features from Windows, cautioned that the European directive "may produce unintended consequences" and may hurt consumers. Reilly acknowledged that the European ruling doesn't directly affect his U.S. antitrust appeal. But he said the decision overseas validates arguments by Massachusetts that Microsoft should be required to offer versions of Windows without some of its own built-in programs. The European decision affects only Microsoft products sold in Europe. But global technology companies have traditionally been averse to developing radically different versions of the same software for specific regions because of costs and complexities.